Not a real beer, unfortunately. I’ll make no secret about it. I am a nerd. Especially when we’re talking food. Or beer. I get way too excited about the Maillard reaction and fermentation. I will yell at the contestants on Iron Chef as if I were a hockey referee. I have a theory about nerds. A nerd is simply an individual with considerable enthusiasm on a specific topic. It’s not enough for me to know what foods I like, I have to know WHY they taste good. “Cool” people try too hard to care (about anything), and are therefore no fun to hang around. 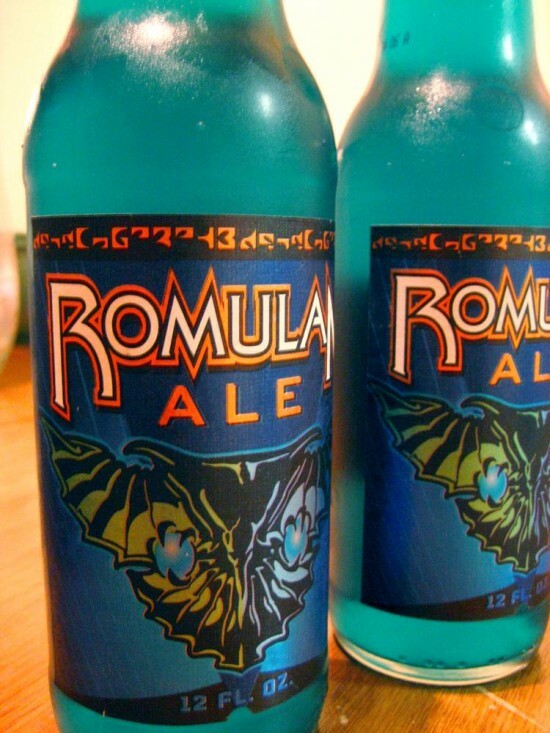 Several breweries have thought to release special edition beers named after science fiction movies and epic novels. Take Hoptimus Prime from Ruckus Brewing Company, a double IPA with aggressive hop flavour. 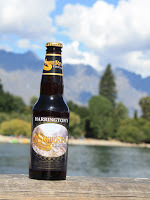 There is also SobeRing thought from Harrington’s Brewery, out of Christchurch, New Zealand. This precious stout has an ABV of only 1%, and was the official brew enjoyed by the actors in Peter Jackson’s Lord of the Rings Trilogy. These are not the beers we're looking for. While the newer Star Wars episodes pale in comparison to the original trilogy, I will admit that I saw Episode I three times in theatres. 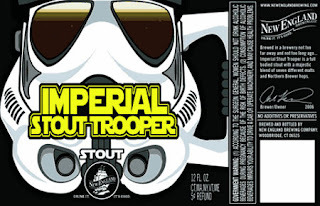 Sierra Nevada recently released the Empire Strikes Black, an easy-drinking barrel aged stout with an ABV of 9.8%. The force is strong with this one. Also check out the Imperial Stout Trooper from New England Brewing Company in Woodbridge, Conneticut. Although I have seen little n, I am a big fan of the movie remake with x and y. Cannery Brewing company Vulcan Ale. 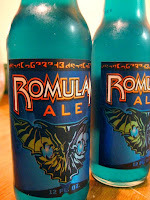 If you can find it, get yourself a case of Romulan Ale, a blue-hued beverage secretly brewed in El Salvador and distributed to the masses. 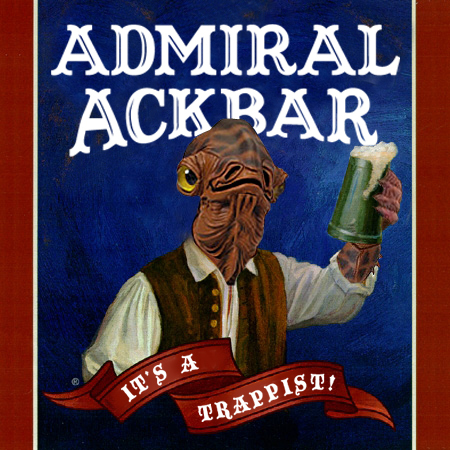 While this brew was made illegal due Federation trade embargo in the late 23rd century, it’s worth all risks of imprisonment or death. The Perseids meteor shower occurred this past weekend, peaking in the central time zone at 1am on August 12th. I joined up with some fellow science enthusiasts and outran the city lights to watch the stars fall. We passed around my guitar, toasted Timbits over the fire (among other things), passed around a Vulcan Ale, and munched on these breadsticks. It’s not safe to stare into the cosmos on an empty stomach. In a large mixing bowl, combine flour, sugar, yeast, salt, rosemary, and Italian seasoning. Gradually pour in beer and 3 tbsp olive oil, mixing to form a dough. Form dough into a ball and place in a large, oiled bowl. Cover bowl with a damp cloth and let rise until doubled in bulk. This will take about 1-1½ hours. Punch dough down and let rise again, another hour or so. Divide dough into 16 balls of even weight. Roll dough into long cylinders and twist each around one slice of prosciutto. Dust the bottom of each twisted breadstick in cornmeal to prevent sticking to baking sheet. Brush each breadstick with remaining olive oil and sprinkle with sea salt. Bake for 18-20 minutes. Remove from oven and serve warm.